This statistic shows the results of a survey in which U.S. consumers were asked how they would spend a cash gift. 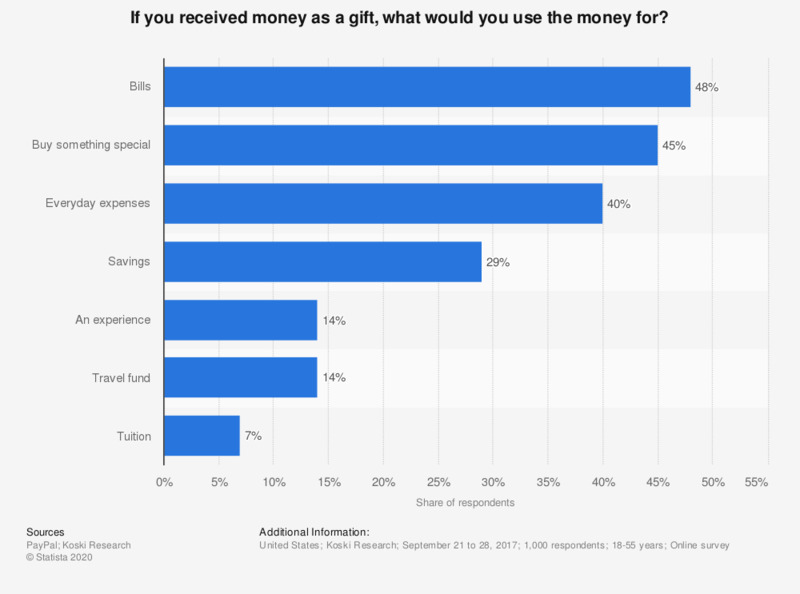 During the survey, 48 percent of respondents said they would spend cash gifts on bills. This question was phrased by the source as follows: "If you received money as a gift, what would you use the money for?"